A bunch of dog crazy South Shore people wanted a higher level of organized fun and play for their canine companions. Under the expert guidance of Bonnie Conrad-Truelove, the Oceanmark Flyers were formed. 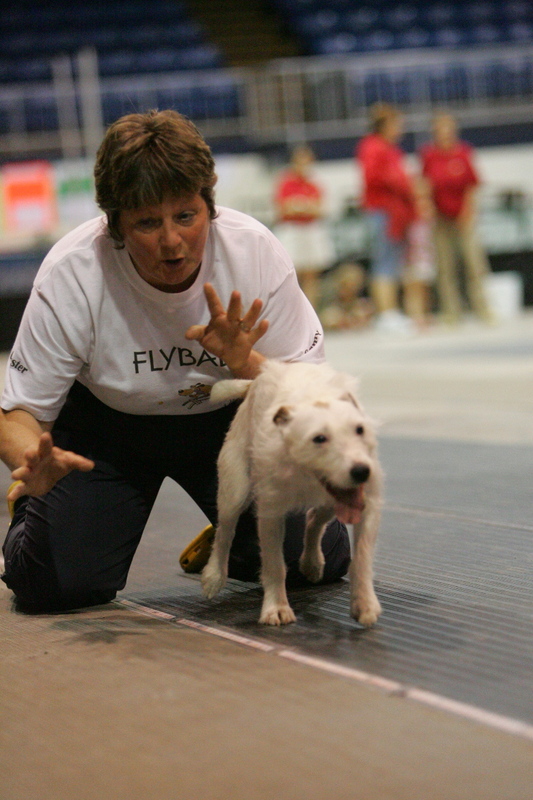 Now, they get together in Chester Basin, Nova Scotia and play North America's fastest growing dog sport, 'Flyball'. Please click on a link to find out more about our tournaments, our team, the exciting sport of flyball, or how you can get involved. Join us in the most fun activity you can have with your dog.